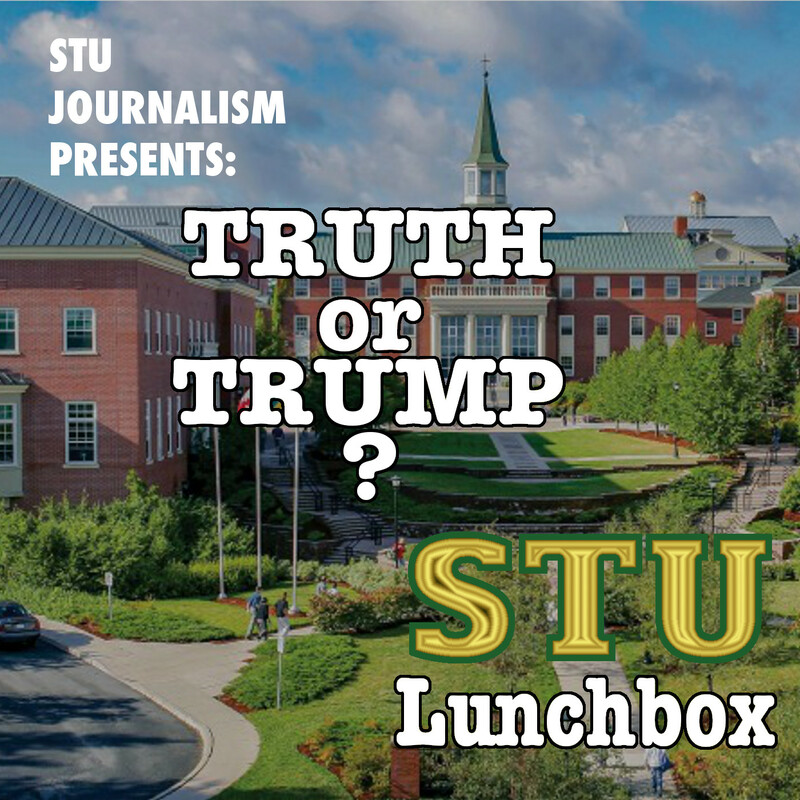 Home » Specialty » The Lunchbox » STU Lunchbox » STU Lunchbox: Truth or Trump? 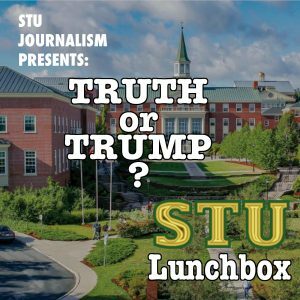 STU Lunchbox: Truth or Trump? St Thomas University’s Journalism program takes over episodes of The Lunchbox in late Winter/early Spring and presents a series of shows with documentaries, interviews, discussions and more! Hosts Alishya Weiland and Patty Saad explore the age of untruth with special guest Daniel Dale, who documents Trumps tall tales for the Toronto Star.